There are a number of very distinct methods for searching online. Not only does each search engine have a distinct set of algorithms, but search methodology varies for each major type of online database collection. To start out with this explanation, we need to know that genealogists are likely to use two or more different kinds of databases every time they do online research. Lack of awareness of the different types of databases and their peculiar search requirements can lead to frustration and an attitude that the Internet or a particular database "does not work," when the truth is that the researcher simply needs to adapt and use the different types of searches. search engine - a specialized type of program that works with a particular database enabling the users to find documents or entries in the database. database - a collection of copies of documents or written entries dealing with a particular subject. algorithm - a set of programming sub-routines that follow a basic pattern and work together to enable a program to operate, more generally a process or set of rules to be followed in calculations or other problem-solving operations, especially by a computer. methodology - a set of related steps to accomplish a particular objective. string - a particular set of characters i.e. a word or name. string-search - a type of search that looks for combinations of letter or characters. To some extent, the content of the database determines the function of the search engine or other search functions. Every time you do a search online, you need to remember that you can't get water out of a dry well. At a very minimum, you must be aware of the extent of the content of the particular database you are searching, however, this works both ways. You cannot know in advance if information about an ancestral family is in one of the collections in a particular database that you would never think of searching. I had an interesting experience yesterday at the Family History Library in Salt Lake City, Utah that illustrates this principle. One of the patrons I was assisting was looking for Italian records. She had been unqualifiedly told by the Library volunteers that the records she was looking for were not in the FamilySearch.org Historical Record Collections or even in the FamilySearch Catalog. I spent some time with her researching the location of her ancestors' home town and then finding the churches situated near the town. Then I went to the Catholic Directory and determined the parishes and the diocese for those churches. Once we knew where to look, I found that indeed, the records were in the FamilySearch Catalog but were also digitized and in the Historical Record Collections. The records were Civil Registrations, not Catholic Church Records. This example points out an important fact. You must do your homework and know what you are looking for before you begin an online search. In this case, finding the records involved different levels of pre-searching before you could even determine if the records were possibly in the target database. Obviously, the patron still has to search through a huge number of unindexed records in this case, but she is at least not relying on bad advice and thereby ignoring a valuable source for such a search. Today, I had a similar experience. In this case, the patron was looking for books on German places i.e. gazetteers. She did not find them on the shelf although she found the Dewey Decimal classification numbers in the online FamilySearch Catalog. She went to the reference desk and was told that these records were in a California Family History Center. I took her back to the online catalog and found the books again and the entry said they were Reference Books. We quickly located the books on the Reference Shelf. Here the key was realizing that the reference books were not shelved with the rest of the books. In each of the three different categories outlined above, I find that part of the success of searching is determined by how well you know the subject of your search. In genealogical searches this knowledge almost always involved knowing the exact location of an ancestral event. Of course, you can use the computer to search for locations as well as any other information. Now to the summaries of the different types of searches. An example of a string search is searching for a name. If I were to search for my Great-grandfather, I would be searching for the string: "Henry Martin Tanner." In this case, the capital letters are not necessary but the quotation marks tell Google that I am searching for that particular string and not the individual words. Google will still give me instances of each of the three names and any combination of those names, but the primary results will first include instances when all three names appear in the order specified. In essence, in searching in an online program such as Google (or any other search engine based program) the search entails guessing for an exact string of characters in the target website so a thorough search will involve multiple individual searches varying the words and word order. The more you search, the better your results. Practice makes you better, if not perfect. The essence of a catalog is an organization of information, such as books, manuscripts, etc., based on subject matter. German books are gathered into a section of the repository, Spanish books in another etc. Although there are suggested cataloging categories, such as the Library of Congress Catalog terms, very few people, without extensive library experience, can guess the way books and other materials are gathered in a library. Here experience with library catalogs is the best teacher. It is also common that books and other materials in a library are cataloged in different physical parts of the same library. So searching a catalog, for most people, is simply a matter of guesswork. Within a library catalog, for example, entries may be arranged alphabetically by author or even the title of the material. Neither of these simply organizational methods makes finding individual items easier if you are looking for a particular subject or in a particular location. The example here is the FamilySearch.org Catalog. Searching in a wiki is substantially different than searching in either of the preceding types of databases. The more specific your search, the less likely you are going be in finding what you are searching for. Wikis thrive on general searches. The program itself is designed to lead you to more specific topics. So if you were searching in the FamilySearch.org Research Wiki, for example, then you would ideally begin your search with a general term such as "United States" and then let the wiki lead you to individual states, counties and even cities. Note that you do not have to use capital letters or include the quotation marks in a wiki. The FamilySearch Research Wiki is organized in the same way that records are created and located around the world, that is by geographic location. Our ancestors' movements across the world did not happen in a random fashion. A combination of the availability of transportation, natural barriers and the routes available through and across those barriers determined where and when they moved from place to place. Population movements were determined by the availability of land for farming or settlement, political unrest or wars, natural disasters and many other factors. In many cases, when an ancestral family seems to disappear from the historical record, they were just following the general trend of the greater population and moving on to a new home. I came across the impact of this historical context several times this week as I helped people with their research in the Family History Library in Salt Lake City, Utah. In one case, a family moved from Connecticut to upper New York state in the late 1700s. There was another move in around 1816. The researcher seemed entirely unaware of the circumstances that would have initiated such moves. I pointed out that at that time, upper New York state was the frontier and that 1816 was the "year without a summer" due, in part, to the eruption of Mount Tambora in the Dutch East Indies. The history of the world is replete with huge population migrations and awareness of those particular migrations that affected your ancestors is a necessary part of understanding their movements as well as an adjunct to finding those families that seem to disappear. In the U.S., most of these movements are reflected in the development of the available land. So many researchers seem baffled by the historically very predictable movements of their ancestors. Much of this confusion could be eliminated by spending a little bit of time reading up on the history of the country both from a national and local perspective. How did my parents meet each other? Where did they get married (if they did)? Why was I born where I was born? Why did my family move from one place to another? Why did they stay in the same place? These types of questions seem highly personal, but if the answers are looked at in the general context of the time periods involved, they become part of a larger pattern of economic development (or the lack thereof), employment opportunities, wars, and other developments. There are always some anomalies, but over time, the general trends determined your ancestors' movements. What is generally missing from history education in the United States is enough detail to allow students to understand and visualize these migrations. As I have mentioned previously, I had the opportunity to review a granddaughter's junior high school "American History" book. There were a total of four pages of text (mostly pictures) devoted to the entire western expansion across the United States. Such a treatment will guarantee that she is only vaguely aware of major historical factors such as the 1849 California Gold Rush and the Oregon Trail, much less some of the lesser known, but equally important issues in the European settlement of the West. The National Library of Estonia launched DIGAR Estonian Newspapers portal (dea.digar.ee), which is one of a kind in the world considering the searchable text and the planned amount of the data. The portal will be presented on 15 October at 11.00 in the National Library of Estonia. The new portal DIGAR Estonian Newspapers has been compiled in order to provide searchable full-texts of Estonian and foreign Estonian newspapers since their publishing. This goal will be fully achieved by the end of 2015, since the papers from 1944-2013 are still missing and are currently added. Fresh papers can be found from the portal no later than on the following working day of the publishing, but their full-texts are made available according to the agreements with publishers. Currently the portal gives access to 85 newspapers, including over 100 000 pages published before 1944 and papers issued since 1 January 2014. Also the newspapers digitised by the cooperation partners of the National Library will be made available through the portal. The newspapers provided by the Tartu University Library and Estonian Literary Museum are the first to come. The prospective key users of the portal are the researchers of language, media, history and genealogy and other fields, information specialists, creative industry and others in addition to the consumers of the everyday information. DIGAR is a user environment created by the National Library, which currently provides access to the digital editions stored. Among them are e-books, newspapers, magazines, maps, sheet music, photographs, postcards, posters, illustrations, audio books, and music files. Books and periodicals format is usually pdf or epub, jpeg pildimaterjalil recordings and wav. I managed to get all this information from the website in Estonian using Google Translate. What do George and Barbara Bush, Daniel Radcliffe, Abraham Lincoln, and Gwyneth Paltrow have in common? They’re all cousins of RootsTech 2015 keynote speaker A.J. Jacobs! We are excited to announce that best-selling author, Esquire magazine editor, and founder of the Global Family Reunion, A.J. 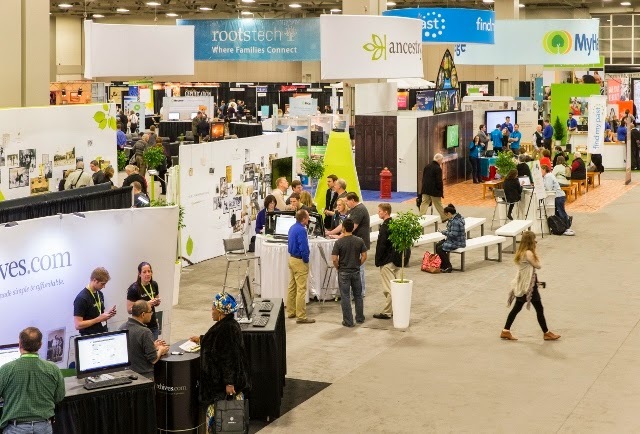 Jacobs will be joining RootsTech 2015 as a keynote speaker on Friday, February 13. Through his unique ability to be sincere, laugh-aloud funny, and intelligent, he will inspire you to discover and share your family stories and connections—past and present. Jacobs’s fascination with genealogy started when he got an email from one of his readers in Israel pointing out that he and Jacobs were distantly related along with 80,000 other relatives the reader had tracked down. Since then, Jacobs has made it his mission to connect with as many cousins as he can find and to organize the world’s largest family reunion. See RootsTech.org for more information. The Dylan song refers to political and social change, but both of those blow past genealogists; it is the technological changes that make genealogy's older demographic go off the deep end. The inexorable march of digitization and online programs forces even the most reluctant genealogist to acknowledge that genealogy is indeed changing and doing so rapidly. It is time to face reality. Technology, i.e. computers, are here to stay and are going to be a more important factor in genealogical research. There are ways to learn and grow with this new technology. In one of my last posts, I wrote about the issues raised by the nearly constant changes to FamilySearch.org's Family Tree program. Some of the reactions to these changes include anger, frustration, exasperation, despondency and other negative emotions. Rather than seeing the changes as an opportunity to grow and develop new, more efficient methods of finding ancestors, many people reject the changes and cling to their paper records as if they were some kind of totem that would make all the changes go away. Granted, there are both positive and negative aspects to the technological changes. At the time I am writing this post, I am sitting in the Family History Library in Salt Lake City, Utah. As I look around, I see six people with all of their research spread out on the tables. All six are in the "older" demographic category. Each of them is completely absorbed in their work. Three of them have computers and three do not. The ones without a computer are hand copying records from books. I decided to walk around the library on the 3rd Floor and see how many other patrons were working on computers vs. those who were copying records by handwriting. The results of this straw poll were overwhelmingly in favor of computers. I did not count the people who were here working on the Family History Library computers, but only those who had their own laptops. There were 21 people using computers and only 6 who did not have a computer. But even though many of the patrons were using computers, that did not mean they were happy doing so. Maybe those who complain to me about technology are simply in a very small, but vocal, minority. 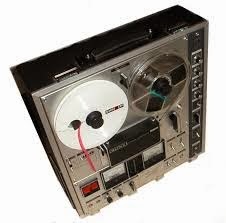 But my point is that we should not be so much reacting to technological changes as we should be anticipating them. It reminds me of my grandmother who I never saw drive a car. In fact, I was quite old when my own mother got her first driver's license. Another impression from the Family History Library here in Salt Lake is the increasing number of patron computer stations. I am aware that the Mesa FamilySearch Library, where I used to serve, will be remodeling their entire facility during the weeks between Thanksgiving and the New Year officially from Monday, Nov 24, 2014 through Saturday, Jan 3, 2015. One of the main changes will be do nearly double the number of computer stations. This is the reality. How do you master FamilySearch Family Tree? 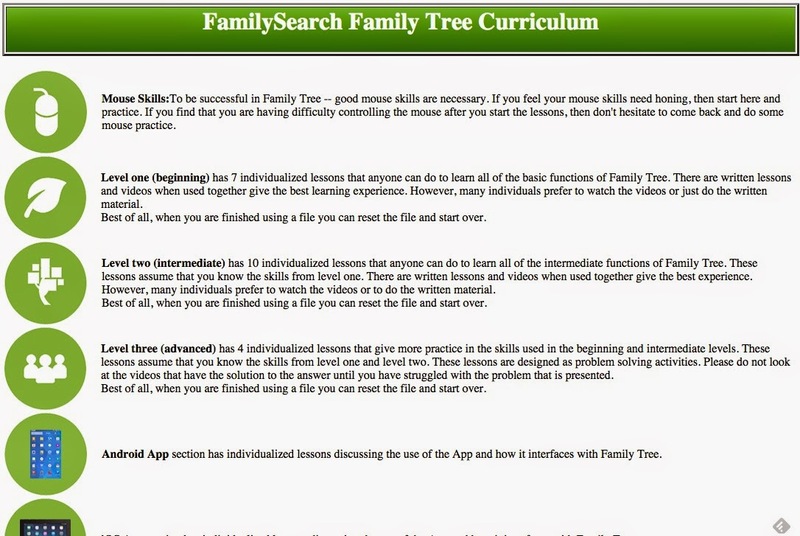 This curriculum is a set of individualized lessons designed to give the user an extensive understanding of Family Tree. Level One has 28 short lessons that are done on your own account and 21 short lessons that are done on a fake or sandbox account. This level is designed for the very beginner. Level Two is an intermediate course with 35 lessons that are done in your own account and 57 lessons that are done in a fake or sandbox account. Level Three is an advanced problem-solving curriculum designed for those who need to understand how to fix the big problems encountered in the tree. 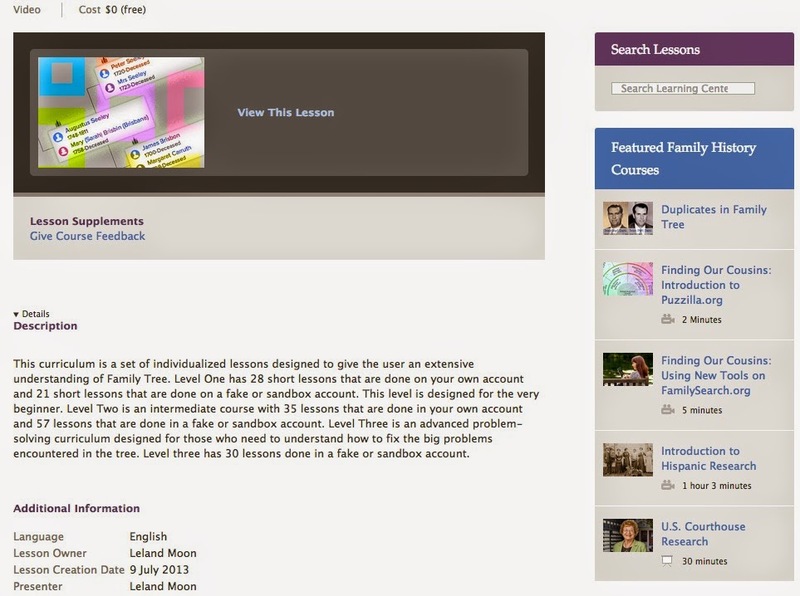 Level three has 30 lessons done in a fake or sandbox account. If you are having the slightest difficulty learning to use the FamilySearch.org Family Tree, you need to seriously consider viewing the videos and working through the lesson based on the "sandbox." The sandbox is a "dummy" version of the real program where you can practice entering data and making changes without using the "real" live version of the program. There are enough problems with the real version of Family Tree without inexperienced and unknowledgeable folks trying to learn about the program by making random changes. I am familiar with the "sandbox" concept since I have been using it for years as part of the structure of the FamilySearch.org Research Wiki. In fact, I have my own sandbox pages I have used when working on difficult formatting and development of pages. We have also collaborated on proposed changes by constructing the proposed page changes in a sandbox where we could make comments before implementing the changes in the live version of the Research Wiki. As I said above, get busy learning and stop drowning. 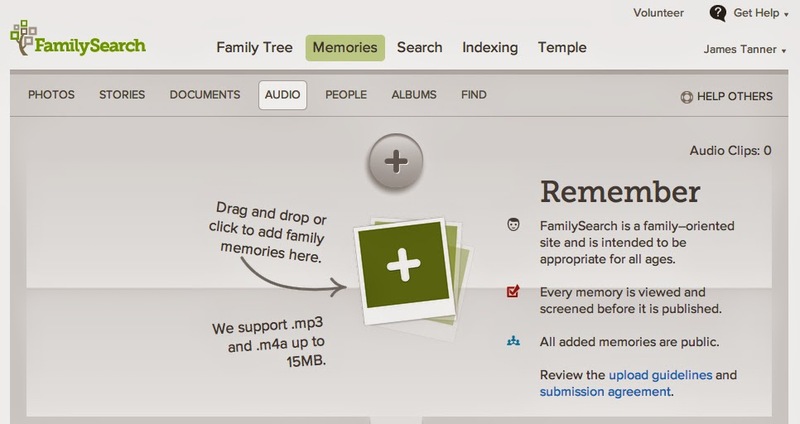 Now that FamilySearch.org's Family Tree and other programs such as Ancestry.com's Family Tree Maker and MyHeritage.com's Family Tree Builder, accept audio files, there is a need to understand audio file formats. The requirements imposed by the program allow only two file formats: .mp3 and .mp4a. The size of these files is limited to 15MB. There are dozens of audio file formats, that is, different ways audio is recorded by a digital device such as a recorder, smartphone, tablet etc. You can review a partial list on Wikipedia: Audio file format. As an example, the new iPhone 6 supports the following audio file formats: AAC (8 to 320 Kbps), Protected AAC (from iTunes Store), HE-AAC, MP3 (8 to 320 Kbps), MP3 VBR, Audible (formats 2, 3, 4, Audible Enhanced Audio, AAX, and AAX+), Apple Lossless, AIFF, and WAV. The simple way to approach this issue is to make sure your audio recording equipment supports the two acceptable file formats and follow the device's instructions about saving files in an appropriate file format. The challenge of encountering an audio file in an unknown format is finding a device and/or program that will play the file format. 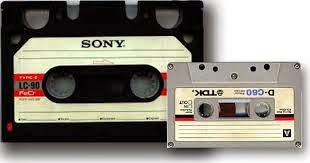 If you find a suspected audio file in an old hardware format such as a cassette tape or on dictation machine, your challenge will be finding a working device that will "play" the particular media found. The story of Utah's court records is an outstanding example of how otherwise seemingly innocuous records can find their way into the most outlandish places. Looking for records is one of the basic activities of doing family history research. It is far too easy to just assume that no records exist and just give up the search simply because the records are not in the expected location. There are links to other related topics also. Now back to my narrative. One of the things that was not openly discussed in my family was the existence of plural marriages among my own ancestors. As I did my research, I discovered the plural marriages and documented them. No great secret at the time, but since some of my ancestors ended up being prosecuted for unlawful cohabitation (uc) by the U.S. Federal Government, they certainly had generated court records. In thinking about my Great-Great-Grandfather's missing birthplace, I speculated that perhaps in he had given his birthplace as a part of the court proceedings after I learned that he had been sent to prison for about three months as a result of his plural marriage to a second wife. Each county had a probate court presided over by an elected judge. No federal circuit court was ever established in Utah or with jurisdiction over Utah. Many litigants, especially Mormons, took their cases to the probate court rather than before the federally appointed judge of the district court. The effect was to displace the federally appointed courts with a system of local control. Congress reacted by placing the judiciary firmly under federal control. The Poland Act of 1874 (18 Stat. 253) restricted the probate courts to matters of estates and guardianship, removing all civil, chancery, and criminal jurisdiction. It gave the district courts exclusive jurisdiction for all suits over $300, and it abolished the local offices of the territorial marshal and territorial attorney. Probate courts maintained concurrent jurisdiction with the district courts over suits of divorce until 1887. The Edmunds Act of 1882 (22 Stat. 30) created a five-man Utah Commission to oversee elections in the territory. The Edmunds-Tucker Act of 1887 (24 Stat. 636) reaffirmed the jurisdictional restrictions on the probate courts imposed by the Poland Act revoking all jurisdiction but in probate and guardianship matters and nullifying territorial laws providing for the election of probate judges. Probate judges then became appointed by the President of United States with the advice and consent of the Senate. Civil and criminal cases were distributed as mandated by law to justice of the peace courts or district courts. Probate courts were abolished entirely at statehood in 1896, and thereafter probate matters were assumed by the appropriate district court. In my search for the court records, I personally visited the Utah State Archives, only to learn that the records I was seeking had been relocated to the U. S. National Archives in Denver, Colorado. I began to wonder when I could plan a trip to Denver. After a considerable time passed, fortunately, I noticed a news release stating that many of these records had been digitized and were available on the Fold3.com website. Using the free access in the Mesa FamilySearch Library, I was able to get copies of the complete court file in just a few minutes of searching. Unfortunately the file did not disclose his birthplace. The moral of this story is that records move. They can show up in unexpected places. It may take persistent and patient searching to find the records that may have moved across state and national boundaries. Never assume the records are merely lost or missing. That may be the case, but it is always the possibility that the records you are seeking were not in the courthouse when it burned or were moved for some bureaucratic reason. Keep looking. When will FamilySearch Family Tree be fixed? The question in the title of this post is easily the most repeated question I hear in class after class, in fact I was asked the question yet again, just a few hours ago. I have a long explanation for why FamilySearch.org's Family Tree program does not "work" but the question addresses multiple layers of issues and the answer is quite complicated. But before getting to the heart of the answer to the question, if there is an answer, I am going to address several issues that are not symptoms of the underlying problems. 1. The Family Tree program is not broken and does not need to be fixed. There are two parts to the issues surrounding Family Tree; the program itself and the data that went into the program. The program is the structure. The data is the content; consisting of over 150 years of accumulated, user submitted, unreviewed individual and family information mostly without sources. The program works very well and is the solution, not the problem. The data is the problem (or challenge, depending on your point of view). The program continues to evolve as features are added and changes are made. This is a natural consequence of technology and computers. Blaming the "program" or blaming "FamilySearch" for the failings in the data is short-sighted and unproductive. 2. Changes made to the entries in the Family Tree do not indicate that the program does not work. To the contrary, the fact that changes can be made by anyone using the program is the main indication that the program works as it is supposed to work. The program is designed to be entirely collaborative. It is a wiki and wikis work to handle huge amounts of data such as the entries inherited from all those contributors for the past 150 years. FamilySearch is merely the messenger, not the message. All of those seemingly random or inaccurate changes to "your data" are really the combined contributions of all your own relatives. To quote President Harry S. Truman, "If you can't stand the heat, get out of the kitchen." Or in other words, if you can't stand to help correct the data from your own relatives, don't complain about the task. Leave it to those of us who understand the task and will do our job to clean up the data (I was going to write "mess" but thought better of it). 3. FamilySearch is not making changes to the data in the program. I have to admit that FamilySearch leaves little calling cards all over the data, but ultimately, as I explained above, the data comes from our own ancestor's contributions. That fact that they are delivered with a calling card emblazoned with the name of FamilySearch is just an unfortunate artifact of the way the data is being parceled out into the program. The original data comes from several large accumulations: the Ancestral File, the Pedigree Resource File, the International Genealogical Index, LDS Church membership records, etc. Additional information has been added by users over the past years including random GEDCOM files. All of this was used to create New.FamilySearch.org and then passed through to Family Tree. Genealogists are not used to working in an environment where other researchers can have instant access to their data. They usually work in a vacuum. Family Tree is the exact opposite of a vacuum and is, for many genealogists, a new and very uncomfortable environment. There is really no other way to rectify the past genealogical confusion. This is really the first time that there has been a glimpse of a solution to counter the actions of each genealogist, good, bad or indifferent, from doing exactly what he or she wanted to do without even the slightest opposition or challenge. But in the end the persistence of sources will carry the day. Family Tree is source-centric. This means that entries must be supported by sources to survive the scrutiny of other researchers. Unfortunately, there are a huge number of users of the program who are learning this fact the hard way; they are having their entries changed for no apparent reason. The program prompts users to make changes only with an express reason. Presently, changes can be made by anonymous users. This is a program flaw that needs to be corrected. No one should be allowed to make changes to the program without providing a way to allow others to communicate with them. There should at least be a way to pass messages to all of the users, even if they do not have contact information showing in the program. If the program allows a special category of users, ones who can make changes without accountability, then there will always be random and very bothersome changes being made. This issue has been discussed repeatedly over the past couple of years and still is not resolved. This is the second most common complaint I hear every time the subject comes up. 5. Sources are the solution to nearly all of the data problems. In the end, when all is said and done, it will be the quiet, persistent addition of sources that will quell the rabble and give prominence to careful, reasoned, historically correct data. Rather than complain, save the energy and put it to use adding even more sources. There are still vast areas of the data where no sources exist. None of this data lacking sources can be verified or relied upon until the work is done to add sources. Cleaning up the data and then maintaining it in response to new sources is the ongoing work of the Family Tree. The question still remains as to when all this will come to an end? When will the problems created by the data end? To some extent, as long as there are careless or ignorant contributors, the problems will always persist. But in a real sense the problems caused by this element will diminish dramatically as the data is finally completely converted from New.FamilySearch.org and any other issues remaining such as those involving membership records etc. are resolved. How long with this take? It will take as long as it takes. That is the only possible answer. Many local libraries throughout the United States provide research services to their patrons. Depending on the size of community and the concomitant economic base of the library district, the services may be anything from a small set of useful online databases to an extensive offering of major genealogical products. One of the concerns I had in moving from a large metropolitan area such as Phoenix, Arizona, the sixth largest city in the United States, to Provo and even Salt Lake City, Utah which is about the 124th largest city was the availability of online resources from the libraries. Even my old home town of Mesa is the 38th largest city, ranking ahead of cities such as Atlanta, Georgia and New Orleans, Louisiana. Enough of that, the Internet gives patrons the ability to "belong to" a library for research purposes, even though the actual physical library may be in the next county or even the next state. I find a few of the same online research sources available to me in the local libraries here in Utah. U.S. Federal Censuses feature the original images of every extant federal census in the United States, from 1790 through 1930, with name indexes for many decades. In total, the collection covers more than 140 million names. Periodical Source Index (PERSI), published by the Allen County Public Library, is recognized as the most comprehensive index of genealogy and local history periodicals. It contains more than 2.3 million records covering titles published around the world since 1800. Revolutionary War records contains original images of selected Veteran Administration records pension and bounty land warrant application files help to identify more than 80,000 American Army, Navy, and Marine officers and enlisted men from the Revolutionary War era. If you local library does not have a subscription to ProQuest, then try your county library or even your state library. If none of them have the service try asking the local librarians why they do not subscribe. If the answer comes out as a budget concern, then try investigating the use of the current offerings and getting your local family history society to lobby the city, county or state for access. ProQuest.com also offers libraries access to Ancestry.com's Library Edition and also has an extensive library of digitized genealogy resource books. While you are at it, try promoting the ProQuest® Sanborn Maps Geo Edition (1867-1970), searchable by address and GPS coordinates, provides digital access to thousands of large-scale maps of U.S. towns, cities, and states. If you find your library already provides access to these types of resources, then by all means, make sure every genealogist around you realizes that they can get access through their library. How do DNA Test Results Relate to Genealogical Research? I received a question concerning a DNA test that shows African-American heritage. As a rule, I have somewhat avoided the issue of DNA testing for the main reason that my experience has shown that many of the people who participate either do not understand the results, are unpleasantly surprised by the results or have unreasonable expectations as to what the DNA test will show. I did not wish to appear to be "promoting" DNA testing. Notwithstanding this statement, click here for a link to a list of DNA testing companies offering direct-to-consumer (DTC) DNA tests for genealogy, deep ancestry and ethnicity. I last wrote about this subject in January. I decided it was time to update my thoughts on this rapidly changing area of genealogical research. As a long time trial attorney, I am well aware of the important part DNA evidence has played in the legal community. But I am also aware of the limitations of the testing procedures. DNA tests have become a staple in paternity suits and many criminal cases. Most of the information provided about DNA testing has traditionally been couched in very technical "scientific" jargon. The jargon is not particularly helpful in explaining how DNA testing will help you with your genealogical research. DNA testing is not infallible. The test has to be performed correctly in the first instance and then the results have to be interpreted correctly. During the entire testing procedure, there have to be assurances that the DNA sample presented for testing is not contaminated. Most of the discussion I see about DNA testing in the genealogical community revolves around the concept that the testing puts genealogy on a scientific basis. It is scientific but the results are based on probability, not certainty. It is true that the probability, in some types of cases, can be almost certain, but there is still a degree of error. This does not differ from the consideration of historical documentary evidence. All historical (and genealogical) conclusions are subject to revision based on additional evidence, i.e. documentation. I neither discourage or encourage genealogists to obtain DNA testing for the reasons I mentioned previously. In any event, I would encourage genealogists who seek resolution of genealogical relationships through DNA testing to take the time to explore exactly what the proposed DNA test will and will not show about any particular ancestry. If a DNA test motivates you to begin researching your genealogy, then it is a good thing. The basic issue with DNA testing and genealogy is testing that is done without the supporting document based genealogical research. In almost every case, it is important that the "paper" research be done in order to establish a reasonable basis for conducting a DNA test. DNA testing is in its area of expertise when it is used to determine if two people are related. Obviously, the more distant the relationship, the less accurate the DNA test will be. It also helps to have a large base of DNA contributors to use for drawing conclusions. This is where the DNA world is changing rapidly. One of the major difficulties faced by genealogists in the past has been obtaining the cooperation of potential relatives to determine the relationship or lack of a relationship with a researched ancestor. That issue is changing rapidly. Two of the larges online genealogical database companies, Ancestry.com and MyHeritage.com, have taken significant steps to increase the availability of DNA testing and both provide DNA testing. In the case of MyHeritage.com, that company has also indicated that they may be adding the ability to share DNA information through their online family trees. In doing this, MyHeritage.com is making a significant advance. Traditional genealogists will now be able to judge, first hand, whether or not the DNA evidence becomes useful. Hmm. This is an interesting change. Instead of being an "Official Blogger" we are now asked to be "Official Ambassadors." Looks like same great job opportunity with a new title. 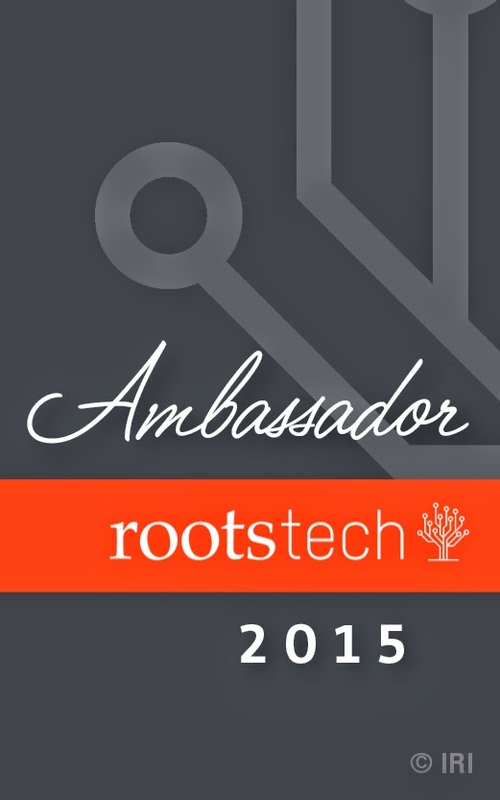 The list of #RootsTech 2015 Official Ambassadors showed up online. I have a new bio, which I suppose will update the fact that I am in Provo, Utah now and not Mesa, Arizona. Is there a middle ground in genealogy? After one of my usual diatribes, a commentator questioned if it were possible that there was a "middle" ground in genealogy. Having attended and participated in an endless number of settlement conferences and arbitrations, I think it is usually pretty simple to determine, within the first 10 or 15 minutes of such a session, whether or not the parties involved will come to a settlement or be satisfied with an arbitration decision. Just in case you are unaware of the difference, a settlement conference is a voluntary or mandatory meeting where the parties get together with or without a third party facilitator and try to resolve their differences. They can be an effective was to avoid or terminate litigation. In some jurisdictions, such as Maricopa County, Arizona, in many cases the parties are required to hold a settlement conference before proceeding with litigation in the court. An arbitration, on the other hand, can be binding or non-binding. Many commercial contracts (such as those you agree to when you buy software or use an online database) require the parties to go through arbitration either before litigation or instead of litigation in the courts. In an arbitration proceeding, the parties participate informally (i.e. less formally than in a court of law), and the arbitrator is usually either someone who holds arbitration hearings as a profession or is appointed temporarily by the court to preside at the proceedings. Now, what does this all have to do with genealogy? There are a significant number of controversies associated with the practice of genealogy that approach the level of contention that usually ends up with people suing each other and going to court. The claim that there is or should be a "middle" ground in genealogical disputes is the same impulse that impels courts to mandate settlement conferences and appoint arbitrators and order arbitration hearings. It is an altruistic feeling that if people would just sit down and discuss their differences, then those differences could be reconciled. As I hinted at above, my experience with both settlement conferences and arbitration hearings has been mostly positive, but I can usually tell far in advance whether or not a case is going to settle without going to a trial or court hearing and which are not. Usually the issues I write about (unless I am in one of my wacky moods) are not the kind of disputes that lend themselves to resolution by settlement. This does not mean that a "middle ground" could not be imagined to exist, it just means that they are not the kinds of differences that are normally resolved by reasoned discussion in a "settlement" conference environment. The challenge of settling these issues by claiming some kind of middle ground is that none of the differing opinions in the genealogical community have a common forum or venue in which such discussions could take place. For example, let's suppose that one of the controversies is the existence of untidy, unrealistic or outright faulty online family trees. I am fairly certain that few, if any, of those individuals who contribute such drivel online are even remotely aware of the greater genealogical community and would be surprised to learn that any cared about what they put online in "their" family tree. You can't begin a settlement conference unless the parties are willing to attend or can be ordered to attend by some entity (like a judge) who has the authority to order the parties to attend. It would be nice if we could get the Summer and the Winter to agree that the weather should always be resolved to be adequately warm and not too cold, but there is no mechanism for bringing these two opposing parties together. Likewise, there is little chance that some of the more egregious issues presented to the genealogical community cannot be reconciled completely. Our societies resort to imprisonment and in extreme circumstances to war to resolve some of the more serious issues. It is unlikely that those same types of issues as reflected in the genealogical community will be amenable to resolution through negotiation either. So how do we proceed short of bombing the opposition out of existence? We proceed as we always should have in past and must also in the future. We follow the admonition of Paul as expressed in his letter referred to in 2nd Corinthians, Chapter 6 and if you do not believe in the Biblical injunctions, then you follow whatever similar impulses that control your own beliefs. It always amuses me when someone insists that their family name is spelled a certain way. I often hear how my name is spelled with an "e" instead of an "o" or some other variation. A little bit of history goes a long way in curing genealogists of this problem, but the secondary problem is that some researchers never learn the history and keep believing the myth. 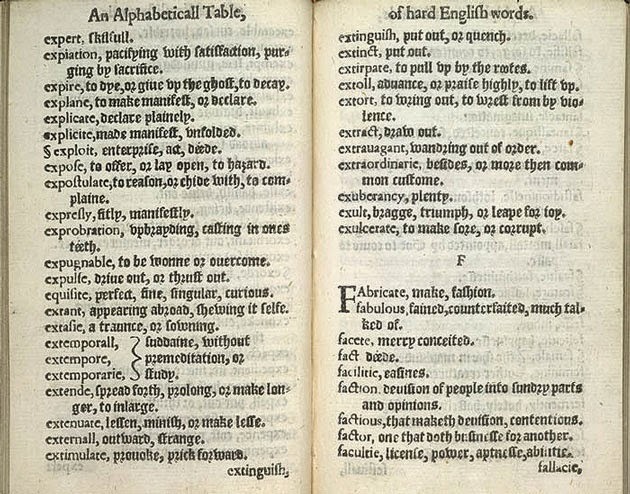 Table Alphabeticall (shown above) by Robert Cawdrey. American Council of Learned Societies. Surnames in the United States Census of 1790: An Analysis of National Origins of the Population. Baltimore, MD: Clearfield Co, 1990. Matheson, Robert E. Special Report on Surnames in Ireland: [Together with] Varieties and Synonymes of Surnames and Christian Names in Ireland. Baltimore: Genealogical Pub. Co, 1988. See Wikipedia: Surname and Wikipedia: Family name. The first naming act in Denmark was issued in 1526 and made heritable names compulsory for nobility. Other higher class people took heritable surnames during the following centuries, clergy often Latinized names (e.g. Pontoppidan made from Broby) and artisans often Germanized names. Naming acts applying to all citizens were issued 1771 (for the Duchy of Schleswig only) and in 1828. The rural population only reluctantly gave up the traditional primary patronyms. Several naming acts replaced the first; in 1856, 1904, 1961, 1981, 2005. The result of the first act was that most people took a patronymic surname as their heritable family name, with the overwhelming dominance of a few surnames as a consequence. Later acts have attempted to motivate people to change to surnames that would allow safer identification of individuals. Slavish insistence on a particular spelling of any name from the historical past (or even the present) is one of the most persistent obstacles to genealogical research. I have instances in my own family where my ancestor's surname was spelled one way before immigration. another way after immigration, changed back to the original spelling by one or more of the immigrant's descendants and then changed back to the changed form by the next generation. The spelling of William Shakespeare's name has varied over time. It was not consistently spelled any single way during his lifetime, in manuscript or in printed form. After his death the name was spelled variously by editors of his work and the spelling was not fixed until well into the 20th century. All I can say further is you need a very liberal attitude when looking for people by name. 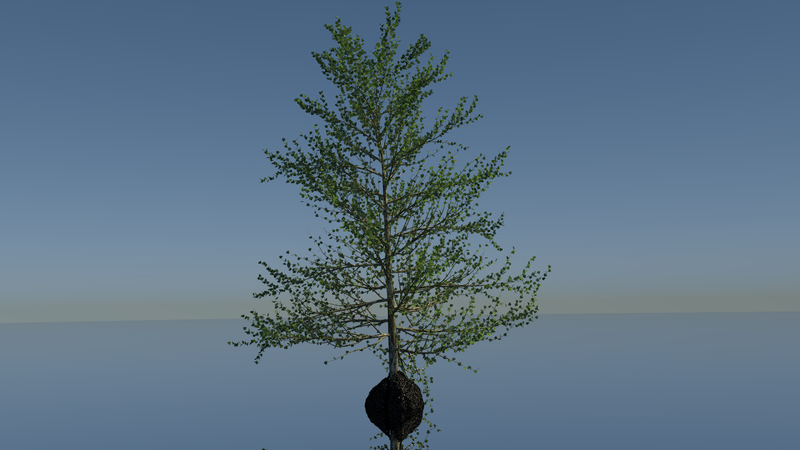 http://blenderfire.blogspot.com/2014/10/a-tree.html My Grandson is starting to do 3D drawings on his computer. This is an early example. The tragedy of these challenges is that some of them have readily available solutions. The further tragedy is that they are all manifestations of the limitations in our world societies and cultures. Some of these challenges are the genealogical manifestations of underlying problems that confront our modern societies as a whole and as they exist around the world. They are also partially caused by all the human failings of mankind; dishonesty, deceit, theft, ignorance, poverty, and all of the other fundamental human frailties. From that standpoint, the genealogical challenges could be considered trivial issues, but only if you are either ignorant of or entirely uninterested in genealogy. OK, if you have read this far and think that I am going to propose solutions to each of these great challenges, you are only partially mistaken. I do have strong opinions about each of the outlined challenges, but I am realistic enough to realize that all the writing and teaching I have left in my life probably will have little effect on any one of them. Just one example, I have been eminently unsuccessful in convincing any of the researchers I have met who think they own their genealogy to share it with their relatives so that their life's work will not be lost. But during the next few days and weeks, I am going to direct a complete blog post to each of these challenges. What is and what is not already online? I get into a lot of discussions that leave a number of questions about what is and what is not already digitized and available on the Internet either free or through subscription services. On one hand, we have the online genealogy database programs telling us how many millions and millions of records they are putting online each week and on the other hand, those of us who have searched extensively online are more than aware of the vast number of records that still remain locked in either paper or microfilm copies. The question has become a conundrum. We even have those researchers who are "convinced" that "everything is now available online." Now, think about the United States. Billions of letters, photographs, video and audio recordings, drawings, maps, treaties, posters, and other informative materials exist that tell the stories of America’s history as a nation. From the Declaration of Independence, the Constitution, and the Bill of Rights to census records that account for every citizen—the preservation of important American documents helps illustrate what happened in the United States before and after we were born. The National Archives and Records Administration (NARA) is America’s record keeper. NARA is the Government agency that not only preserves documents and materials related to the United States but also makes sure people can access the information. It has facilities all over the country, including Presidential libraries and materials projects that maintain records and artifacts from the administrations of Herbert Hoover, Franklin D. Roosevelt, Harry S. Truman, Dwight D. Eisenhower, John F. Kennedy, Lyndon Baines Johnson, Richard M. Nixon, Gerald R. Ford, Jimmy Carter, Ronald Reagan, George H.W. Bush, and William J. Clinton. NARA keeps only those Federal records that are judged to have continuing value—about 2 to 5 percent of those generated in any given year. By now, they add up to a formidable number, diverse in form as well as in content. There are approximately 10 billion pages of textual records; 12 million maps, charts, and architectural and engineering drawings; 25 million still photographs and graphics; 24 million aerial photographs; 300,000 reels of motion picture film; 400,000 video and sound recordings; and 133 terabytes of electronic data. All of these materials are preserved because they are important to the workings of Government, have long-term research worth, or provide information of value to citizens. Now, if you think about this for just a few minutes, you will realize that the U.S. National Archives is just one of many repositories around the world. So how much of this is (1) digitized and (2) available to the public? The answer is a only a vanishingly small number of records of the total number held in the National Archives. Finding this information about the number of available records is a real challenge. It turns out that the majority of the online records are available through Ancestry.com and the Ancestry.com associated website, Fold3.com. The U.S. National Archives has only about 126,500 digitized copies of documents and photographs available on their website. Look at the numbers above and then think about this. The next time someone makes a statement about how much has been digitized online, simply remind yourself that the U.S. National Archives is one example where that impression, that all has been digitized, is not yet, and may never be, a reality. Throughout his illustrious career, Donny earned 33 gold records; selling roughly 120 million albums. In 2011, he and Marie released their first studio album “Donny and Marie” in over two decades. The single “A Beautiful Life” became #1 on the US Country Charts. It will be interesting to see how the rest of the lineup appears. I guess the days of the genealogy company CEOs giving keynotes is over. Genealogy and The British Horseracing Board Ltd and Others v William Hill Organization Ltd. I recently wrote about the status of copyright law as it was applied in the U.K. to databases. My post was really about the application of copyright law to facts, but the discussion turned around the issue of the application of the law to database. The law known as Copyright and Rights in Databases Regulations 1997 (the "Regulations") was extraordinarily vague and just as broad in its scope. In my opinion, after reading through the law as passed, it would only be a matter of time before the law was challenged in court. I was right because there was case called The British Horseracing Board Ltd and Others v William Hill Organization Ltd. that severely limited the application of the statute. The reason this issue came up is because of a claim by a reader of my blog that the U.K. statute established that facts were covered by the copyright law. Of course, if this were true, it would be very significant for those who claim that their "genealogy had been stolen" by someone or some entity. My opinion in the earlier post was that there was little possibility of a genealogical breach of copyright case ever coming before the U.K. or E.U. courts for the same reasons that there have yet to be any genealogically inspired family tree copyright cases in the United States. In my opinion, the main reason is that no one can show damages statutory or actual. This reference for a preliminary ruling concerns the interpretation of Article 7 and Article 10(3) of Directive 96/9/EC of the European Parliament and of the Council of 11 March 1996 on the legal protection of databases (OJ 1996 L 77, p. 20, 'the directive'). The reference was made in the course of proceedings brought by The British Horseracing Board Ltd, the Jockey Club and Weatherbys Group Ltd ('the BHB and Others') against William Hill Organization Ltd ('William Hill'). The litigation arose over the use by William Hill, for the purpose of organising betting on horse racing, of information taken from the BHB database. After reading the case and examining the statute (legislation, law whatever), I believe even more firmly that a privately compiled database such as a genealogical family tree, that was compiled from sources readily available to the public would not be covered by the law. One of the main differences between the genealogical case and the one decided by the court is that relatives have the same relationship to the data (family tree), If genealogical family trees could be copyrighted, then the first person to do the research would have an absolute right to prevent anyone else related to the same people from using that database. But then how would you prove that I copied your database if I independently did the research and came up with exactly the same tree except for those people who were not mutual relatives? Ultimately, how is anyone harmed when someone else is proven to be a relative in a family tree? Against that background, the expression 'investment in ... the obtaining ... of the contents' of a database must, as William Hill and the Belgian, German and Portuguese Governments point out, be understood to refer to the resources used to seek out existing independent materials and collect them in the database, and not to the resources used for the creation as such of independent materials. The purpose of the protection by the sui generis right provided for by the directive is to promote the establishment of storage and processing systems for existing information and not the creation of materials capable of being collected subsequently in a database. Here the term "creation of materials" refers to the gathering of facts. The ruling very arguably states that facts are not covered by the statute. It appears to me that the case turns on the issue of whether or not the maker of the database is harmed by failing to recoup the investment made in the database. Unless a genealogist could prove that they undertook the research in creating their family tree for the express purpose of making money on the project, I doubt that any court would impose sanctions under the statute. It would be interesting to see if there have been any subsequent cases regarding this statute. 23andMe pioneered autosomal DNA analysis which can find relatives across all ancestral lines, and have built the largest autosomal DNA ancestry service in the world. 23andMe helps people access and benefit from the human genome, offering them a deeper understanding of how their genes relate to their ancestry. DNA analysis can provide new information about your ancestors and your geographic and ethnic origins. It can also connect you with unknown relatives descending from common ancestors who lived centuries ago, who you may not have discovered otherwise. MyHeritage's 5.5 billion global historical records, 1.5 billion family tree profiles in 27 million family trees and innovative matching technologies, combined with 23andMe's DNA analysis, will provide users with an integrated and enhanced experience to uncover their family history. Combining documented genealogy - family trees, family stories and family memories - with DNA-based ancestry is the next evolution in family history research. While DNA testing can find relatives from shared ancestors, it's the family trees and historical records that are critical to fully map and understand these connections. This development adds a significant value to a MyHeritage.com subscription. What about Copyright in Australia and New Zealand? The Berne Convention requires its signatories to recognize the copyright of works of authors from other signatory countries (known as members of the Berne Union) in the same way as it recognizes the copyright of its own nationals. For example, French copyright law applies to anything published or performed in France, regardless of where it was originally created. In addition to establishing a system of equal treatment that internationalized copyright amongst signatories, the agreement also required member states to provide strong minimum standards for copyright law. Copyright under the Berne Convention must be automatic; it is prohibited to require formal registration (note however that when the United States joined the Convention in 1988, it continued to make statutory damages and attorney's fees only available for registered works). Copyright protection is free and automatic in Australia and protects the original expression of ideas, and not the ideas themselves. Australian copyright is administered by the Attorney-General's Department. Depending on the material, copyright for literary, dramatic, musical and artistic works generally lasts 70 years from the year of the author's death or from the year of first publication after the author's death. In New Zealand, copyright protects original literary, dramatic, musical and artistic works, sound recordings, films, communication works and the typographical arrangement of published editions. For more information, see our information sheet An introduction to copyright in New Zealand prepared by the Copyright Council of New Zealand. Copyright in sound recordings and films continues for 50 years from the end of the calendar year in which they were made. However, if the work is made available to the public before the end of that 50 year period, copyright continues for 50 years from the end of the calendar year in which it was first made available. Copyright in a communication work continues for 50 years from the end of the calendar year in which it was first communicated to the public. Copyright in a repeated communication work expires at the same time as copyright in the initial communication work expires. A publisher's copyright in the typography of a published edition lasts for 25 years from the end of the calendar year in which the work was first published. The text of the New Zealand Copyright Act can be found at www.legislation.govt.nz. As I mentioned above, as is the case with the law in all contracting parties to the Berne Convention, there is no requirement for a copyright notice. I write about the subject from time to time because I an constantly reminded about the dismal state of history education in the United States. I very recently had the opportunity to review the history textbook used by one of my granddaughters in her junior high school history class. I can remember my own American History class from high school and recall that we never got past the U.S. Civil War. In my high school, the American History class was one semester and Economics was the second semester of the school year. I guess for that reason, I was not too surprised that my granddaughter's history book did not include anything about World Wars I and II, the Korean Conflict (aka the Korean War), or any war since the Korean War, including the war in Vietnam. The entire westward expansion of the United States was covered in four pages. I guess the teachers and educators (two different categories) decided since they never got past the Civil War, there was no need to include those chapters in future textbooks. Unfortunately, I find this same lack of historical awareness to be rampant among many of the members of our genealogical community. This is likely through no fault of their own, since they may have had the same experience I had in high school and earlier. If you want to test your historical awareness, just consider the following list of dates and tell me what they all have in common? Unlike many published quizzes, I will not publish the answers at the bottom of the page. But I would suggest that if your ancestors lived in that part of America that became the United States, you may want to do a historical background check and determine if you need to search for information about your ancestors that pertains to the event's dates listed here. After looking through this list, if the dates don't start to look familiar, then you really do need to spend some time with a good U.S. History book and not one used in a junior high school. As I talk to patrons and volunteers and those who attend my classes, I sometimes feel like they believe that their ancestors lived in an isolated cocoon. Now here is a definition of the word "fact:"
Notwithstanding our collective inability to adequately define exactly what we are seeking, as genealogists, we diligently pursue our task of searching out facts or information about our family. Back in 1948, an engineer/mathematician/cryptographer named Claude Shannon published an article in the Bell System Technical Journal entitled, "A Mathematical Theory of Communication." In this article and later publications, Shannon developed what is known as "Information Theory" and laid the foundation for digital computer design. One of the concepts to come out of these early developments is the idea of a "signal-to-noise ratio" or a way to analyze the amount of meaningful information (the signal) as compared to the background noise (the unwanted signal). As genealogists were are almost continually overwhelmed with unwanted signals or noise or in other words, the amount of useful information we find as opposed to false or irrelevant information or data. Some researchers are almost paralyzed with the amount of unwanted data they receive. The difficulty comes from not only the complexity of the data but the amount of data or information received. This is not necessarily a new situation, for example, if you are searching a microfilm for specific information about an ancestor, you have to process a lot of "noise" or unwanted data before finding the one or two facts you are searching for. Unfortunately, this kind of "noise" was relatively easy to handle, but today's levels of noise have become overwhelming. Some of the most common complaints I receive involve this unwanted genealogical background noise. Some of the newer programs have increased rather than decreased the amount of noise by providing automated systems that generate additional information when the receiver of the information, in this case the user of the program, has no idea of the relevancy of the information or how to process it. One example of this problem, I received today, was a notice that someone I did not know was having a birthday. In other instances, I get suggestions of family tree connections with others who are categorized as potential "relatives" in numbers that are overwhelming. In other programs, doing a search for information about an ancestor will produce numbers, sometimes large numbers, of matching family trees with repetitious entries of obviously wrong information. All of these instances constitute genealogical noise i.e. unwanted signals that obscure the real or valuable information I really want to find. Several comments made to my recent posts expressed this frustration as it applied to the FamilySearch.org Family Tree program. Unwanted information, in the form of apparently random changes in the data, were viewed as a threat to the integrity of the researcher's own perception of the "facts." In this way, the changes were not viewed as attempts to conform differing opinions on the actual data, but merely as noise that destroyed or obscured the researchers "own" data which, in every case, was assumed to be correct. It is inevitable that the amount of genealogical noise will continue to increase. It will become increasing difficult to filter out the meaningful information from the unwanted signals. All you have to do to experience this phenomena is to watch the stream of information on Facebook.com for a few minutes or any other social networking website, and you will see what I mean about unwanted information. What many, if not most, of the genealogists who are overwhelmed with genealogical noise do not have is an efficient filtering system. Rather than continuing to view noise as an obstruction, they need to understand that noise, in some form or another, is always present in any system of communication. The genealogist facing an annoying or overwhelming amount of noise needs to think of ways to diminish the amount of noise or create mechanisms for handling the noise through a system of filters; either mental or actual physical. For example, if I do not want to receive notifications of the birthdays of remote relatives, I can usually turn that function off in the program by editing my preferences or settings. I can also develop ways to ignore any such messages. In my own case, I would be almost paralyzed if I did not develop adequate methods of filtering out unwanted signals or information. On a normal day, I can get well over 100 email messages and hundreds of other notifications. In my case, I have worked hard at managing that flow of information, especially when 90%+ of it is unwanted noise. The challenge is to filter out the unwanted noise without destroying the signal altogether. In the case of a program such as FamilySearch Family Tree, the noise comes from the nature of the program itself. Most genealogists are not at all used to the idea of instant and pervasive collaboration. They are so used to working by themselves, that information supplied by the users of the program in the form of "changes" are viewed as a threat to the integrity of the data rather than a normal function of the program. The researcher immediately jumps to the conclusion that "they are ruining my data" instead of viewing the changes for what they are; differing approaches to the same set of information. If the contributor changes "your information" you view this as a threat rather than merely another opinion about the data. The revelation that there are people out there who disagree with your own opinion is unsettling and threatening. Noise is not viewed as an inevitable component of the system, but as a personal threat. Many genealogists get into a situation where they are battling the noise rather than controlling it. For example, they view unsourced and unreliable family trees as a threat rather than simply ignoring them. With a shared data type of family tree, such as FamilySearch Family Tree, the genealogists become frustrated, angry, despondent, and finally condemn the system rather than working within a high noise situation. We all need to understand that we live in a world with a high noise content. We either learn to manage the noise or become incapacitated by it. I think I will need to return to this topic in the future because there is a lot to say about noise. Genealogy cannot be true genealogy unless it is based on true facts such as birth, marriage, death and other facts that can be proved. There is a lot of genealogy under Family Tree which is based on this basis, However, there is a lot genealogy based on factors such as 2nd opinions supported by Family Search which is destroying everyone's genealogy. I have worked on my genealogy for 55 years and have around 10000 files but Family Search is letting everyone into every other peoples genealogy to decimate, copy and destroy the genealogy. I have been trying for the past year and a half to save my genealogy but is a loosing battle with Family Search in charge. Now the only thing I am trying to do is get my genealogy off of Family Tree and save it. I must say that this comment left me speechless for about 30 seconds (a long time for me). I am not quite sure what Anonymous's relationship is with FamilySearch.org's Family Tree. I sat there staring at this comment for some time, trying to gather my thoughts and come up with something coherent to say about this person's predicament. I must admit that I finally had to put this post aside for a while and think about what was written above. I even began to believe that it was a hoax. Hoax or not, it is an interesting quandary. I guess I will take it a bite at a time. Genealogy cannot be true genealogy unless it is based on true facts such as birth, marriage, death and other facts that can be proved. Given all the posts I have written about defining genealogy, facts, proof and all that, I was puzzled about this comment. I think what Anonymous wants to say is that it is necessary to provide a source for entries in your family tree. I would certainly agree with that. I am not too sure about what I would consider "true facts" if those facts were based on documentary evidence. I would not be so sure that any given document provided "true facts" however. Every one of the types of documents named can be wrong in some cases. I am not sure what is "under" the FamilySearch.org Family Tree, but I assume the reference is to the fact that more of the entries on the Family Tree are being sourced all the time. I am not sure I understand what Anonymous thinks is going on here. I am also not certain how my genealogy is being destroyed. FamilySearch Family Tree incorporates over 150 years of combined research. Admittedly, some of the entries are wrong, however the structure of the Family Tree (a wiki) allows everyone to make corrections and enter supporting sources. None of these changes come from "Family Search" and FamilySearch is entirely neutral on the content unless it is objectionable in some way. It is up to those members families on the tree to correct the information. Apparently this concept is lost on Anonymous. There is nothing on the Family Tree that can destroy anyone's genealogy. It is very wise to have your own copy of your own files if you can't understand why and how the entries on a wiki will continue to change. I have worked on my genealogy for 55 years and have around 10000 files but Family Search is letting everyone into every other peoples genealogy to decimate, copy and destroy the genealogy. This statement seems to be a repetition of the previous one. I am not sure what 10,000 file means, but I assume that means that the person has 10,000 people in his or her database file (I always suspect round numbers since they are inevitably wrong). Since the Family Tree is unified, technically everyone in the world has their entire known family on Family Tree. Actually, it is still under construction and will be as long as there is any information left to add, but the actions of the contributors are not decimating or destroying anything. The serious issue I see here is the mention of the word "copy." Apparently, Anonymous is one of those people who do not want to share his or her research. Well, after 55 years, I suppose it could all be lost anytime now. One thing I can say for certain, if you or anyone else fails to share their "genealogy" with others, all their work will be lost. I hope Anonymous has a family member that will still talk to him or her and is willing to preserve all of the 55 year's worth of research. I have been trying for the past year and a half to save my genealogy but is a loosing battle with Family Search in charge. This statement assumes two false premises, one that FamilySearch is "in charge" of the data in the Family Tree and second, that there is some issue here with saving Anonymous's genealogy. I find that many people using the tree think their conclusions are right and everyone else is wrong. I wonder if Anonymous is putting sources with all 10,000 of the entries on the Family Tree? I am also wondering how he or she got all that information into the Family Tree in the first place and how many duplicates were made in the process? The users of the program, including Anonymous, are "in charge" of the data. I also wonder how many other family members Anonymous has contacted about helping maintain and correct the Family Tree? I might also point out that the Family Tree is still a work in progress and more information is still coming into the tree from the 150 years of accumulated research that is sitting out there to be corrected and merged. I hope Anonymous has his or her own copy of all that 55 year's worth of work or it may really be lost. Now the only thing I am trying to do is get my genealogy off of Family Tree and save it. This is the most puzzling statement of the entire comment. How does one go about getting their genealogy out of Family Tree? Short of manually copying the entries or using a program such as Ancestry.com, RootsMagic.com, Ancestral Quest or Legacy Family Tree, I am not presently aware of a method of getting information out of the Family Tree. Once again, here is another claim of ownership which I see as the root of the problems expressed by Anonymous. It does not sound to me as if this person has heard of the word cooperation before. I continue to be amazed every day at the attitudes expressed by some in the genealogical community, but I am glad for the comments because they keep me thinking and writing. What happens when I upgrade my computer? Which countries have online genealogy records?